There is nothing quite as peaceful as a garden. Something about plants and flowers just brings a sense of calm and quiet. The beauty of watching plant life grow, bloom, and fully mature gives insight into the mystery of life and all its cycles. With all the time and effort gardeners put into growing their crops and other bounty, they often overlook an element that adds extra charm to their hard work. 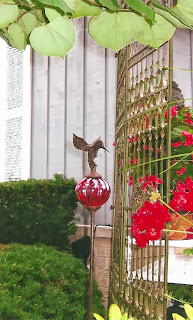 Metal garden decor can be an unexpected but effective aspect to compliment any plot of greenery. Many people think of metal as a hard and stiff looking decorative choice. They consider it to be more of an indoor element for minimalist styles. Patios and backyards are considered to be much more organic. Therefore, they are often decorated with wood and ceramic treatments. While these certainly are beautiful in their own right, to overlook metal entirely is doing a disservice to any garden area, no matter what size it is. Metal items do not have to be bright and shiny, although that may blend well with certain garden aesthetics. Instead, wrought iron is a great alternative that will blend into greenery while enhancing it at the same time. Iron fencing can be a beautiful way to outline the perimeter of any backyard. For an extra charming touch, an iron gate can be added as well to allow easy access. For those people that may not have the space for a fence or do not like an enclosed feeling, an arbor or trellis can still be a pretty focal point without overwhelming the surrounding scenery. Metal garden decor does not have to be large to be impactful. Planters and urns can be made out of metal as well. Wrought iron pieces are usually made out of individual strips of metal curved together so these items have a lighter and airier feel. However, for a more solid and rooted design try a planter made out of cast iron. These pieces often have a more classical appearance that merges well with a more formal garden or backyard setting. 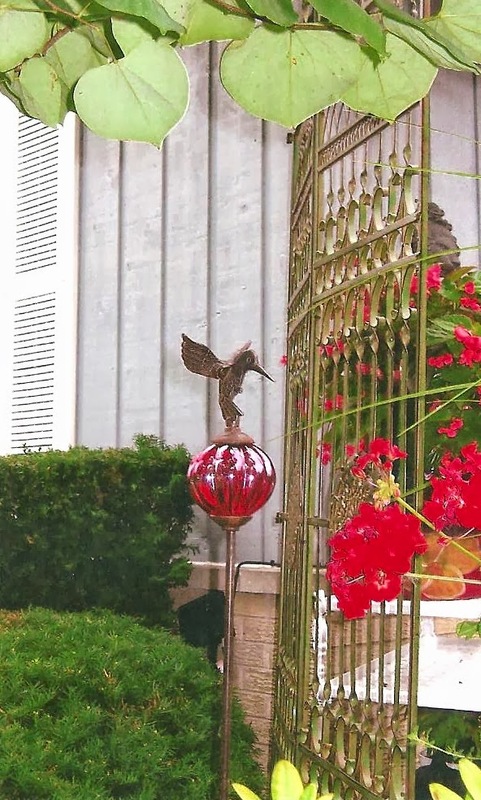 There are other nontraditional options available in metal decor that will add whimsy to the outdoors. A perfect example of this is a wrought iron outdoor chandelier. While this may seem like an unusual choice, it is a very dramatic statement that can be appreciated both during the day and at night. It adds an extra touch of romance to any setting. Whichever pieces are chosen, metal garden decor is a great option for any backyard or patio. Besides setting off all the hard work the gardener has put into his or her bounty, it provides an atmosphere that allows him or her to take a step back and enjoy all the fruits of the labor. Since gardening is meant to allow someone to reflect on life, why not create an atmosphere that is even more conducive to this? Experimenting with different aspects of metal decor can make a personal piece of paradise more attainable.